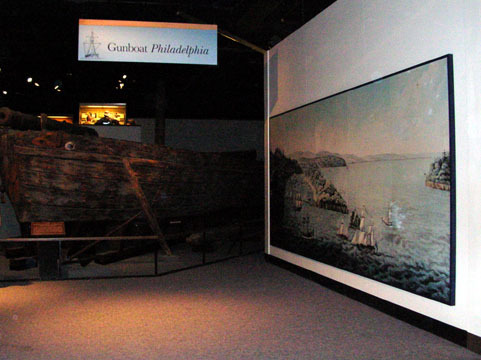 The Continental Gunboat Philadelphia in the National Museum of American History at the Smithsonian Institution. 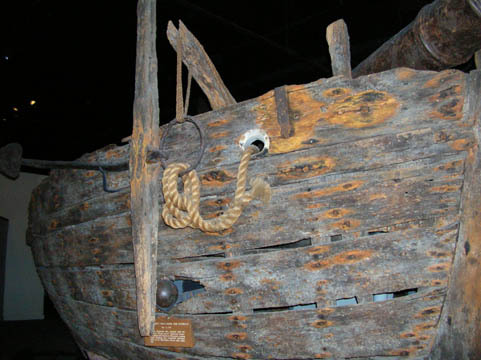 Not at all bad-looking for a 200+ year old wooden ship who spent most of those years underwater. 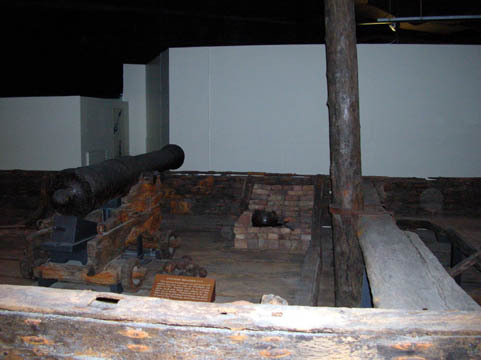 ...as well as this British 24-pounder that was evidently responsible for sinking Philadelphia, which had only 12-pound shot aboard for her guns. 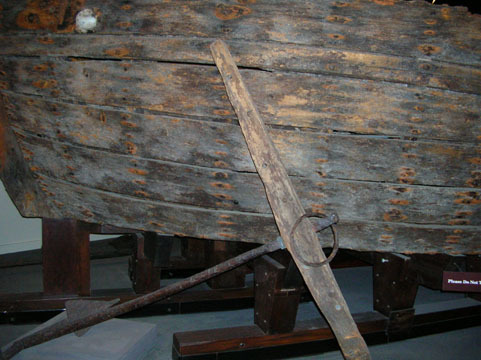 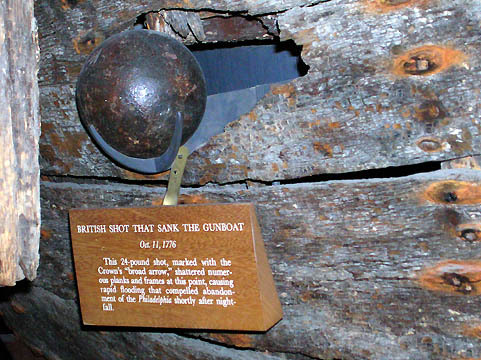 The shot is mounted where it appears she breached the hull. 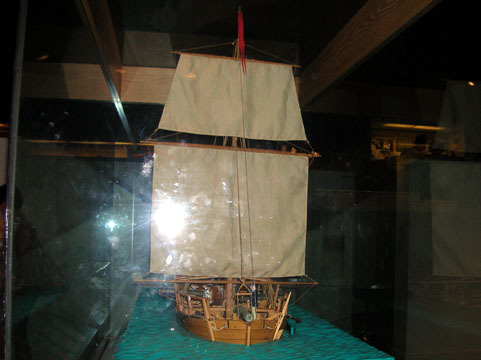 This is a miniature replica of Philadelphia as she looked during her sailing days in John Paul Jones' fleet. 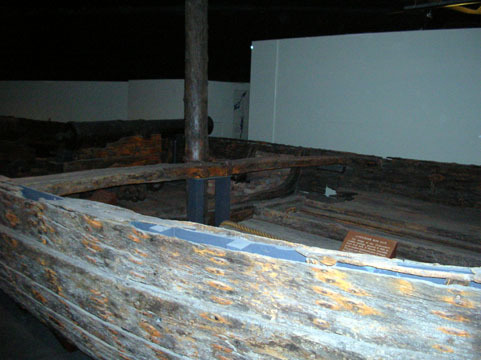 And another view from the front. 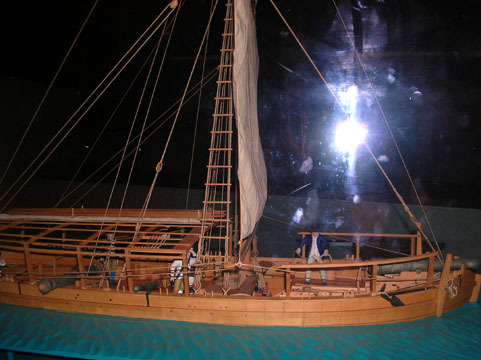 This web site has information on her original crew and a sailing replica. 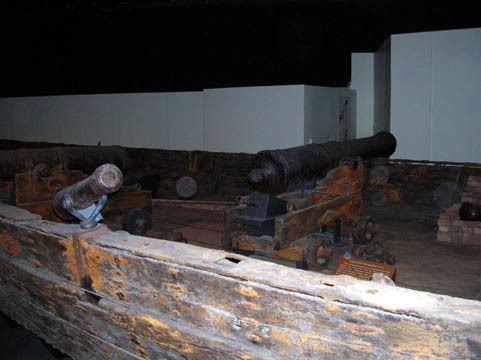 Here is the entrance to the exhibit, across the hall from the America in Wartime gallery and the American Presidents display. 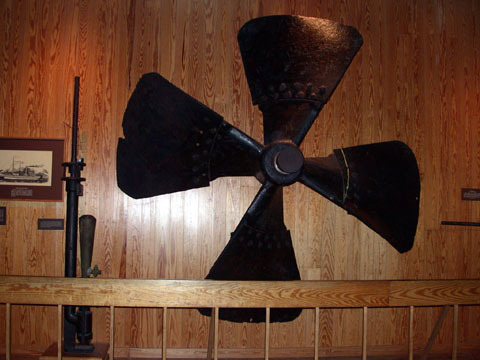 The propeller from the Indiana, brought up from the bottom of Lake Superior. 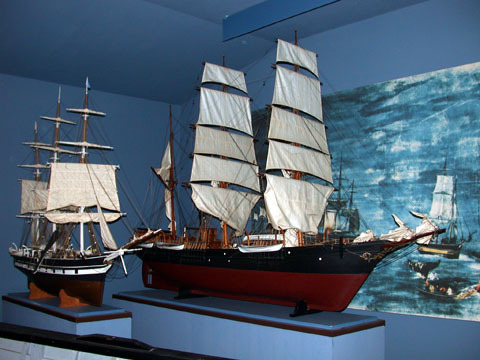 From the enormous collection of model ships, these whalers and a painting of their seas. 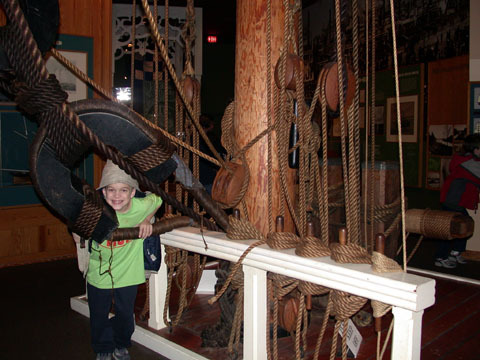 Adam peeking through the demonstration rigging.